These days we see Limited Collector's Editions everywhere, even months after initial release we still see them being stocked at stores as new and this takes away that limited edition feel from the package, well Bethesda are changing that and fans aren't liking it. Not long ago at E3 Bethesda took to the stage to announce Fallout 4 and millions of fans were left stunned. 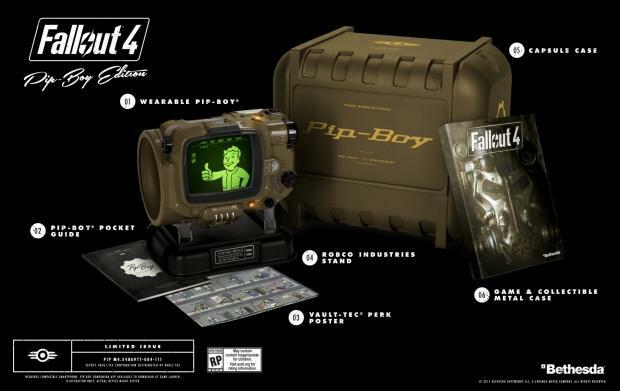 Along with the well received announcement of Fallout 4, Bethesda also announced the collector's editions for the game. To this date the Fallout 4 Pip-Boy Edition is by far one the most interesting collector’s editions to ever be released, and if you are a collector and a fan of Fallout 4 you should have pre-ordered the edition when you had the chance. The Pip-Boy Edition comes with a wearable Pip-Boy you can put your smartphone in, and to make it even better an app will be released for smartphones which lets you control the Pip-Boy as if it were the real deal. While I am upset that I didn’t get my pre-order in on time I am actually quite happy that they are keeping these as limited as possible, whether it is due to production issues or it is just their decision it's great move to keep the value of the product high. Do you think due to high demand Bethesda will produce more of these? Do you want them to? Share your thoughts below.